In between fiction writing, I put together a short ebook of my own baking recipes. 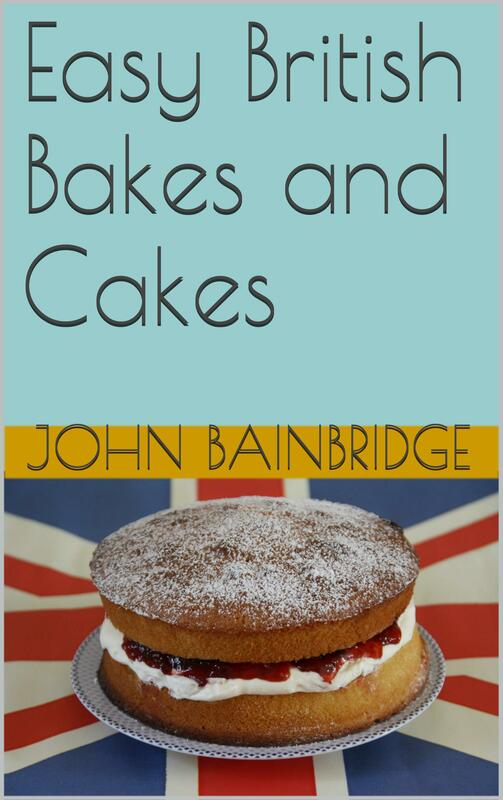 The title – Easy British Bakes and Cakes – says all you need to know. I’m no Paul Hollywood but they’re easy to make and taste great. The book contains 20 simple recipes, my own take on traditional British baking. They’re the kind of treats you’d find on offer at a village summer fete or a vintage-style tea-shop and in the cake tin in British homes. I love the way you get that fresh, home-made aroma when you lift the lid on your cake tin. No shop-bought bake can give you that. Baking keeps me going when I’m writing and the more portable treats like rock cakes give me energy when out on the hill. Meringues aren’t a good idea for your rucksack but perfect for summer tea in the garden. My recipes have been tweaked over the years to be as quick and trouble-free as possible. On starting out, I learnt to make fruit cake with the rubbing in method but found results are exactly as good with a mixer. The all-in-one sponge method is just as successful as adding ingredients in stages and so on. If you prefer different dried or fresh fruit etc. they work well as base recipes, so swop away – just make sure you keep the weight the same. I don’t own a food processor, just a hand-held mixer and I like minimal washing-up. The recipes have been well tested on family and friends. My baking rarely looks as perfect as factory-made – Paul and Mary would soon kick me out – but isn’t that the point? For me, home-baking is about good quality ingredients – where the hens who laid the eggs scratch around in the sunshine – great flavour full of natural goodness and an individual artisan look. Above all it’s meant to be fun and make people happy. Time for a British sale of one of my books. 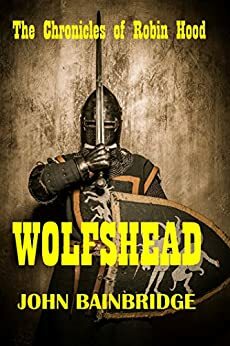 You can get my second Robin Hood novel Wolfshead for just 99 pence on Amazon Kindle for a strict seven days only from today, Saturday. Yes, 99 pence, that’s cheaper than most newspapers and, I promise you, much more fun. And you don’t even need a Kindle. You can download a free App for your tablet, I-Phone or laptop. My book’s also out in paperback if you do like real books. So why not give Wolfshead a go? This is a very limited offer. Robin Hood at a Steal… Please tell your friends – I’ll really appreciate it. I was thrilled to hear that a new film version of Geoffrey Household’s classic thriller Rogue Male is to be made, starring Benedict Cumberbatch. I look forward to it but do hope they stay faithful to the book. 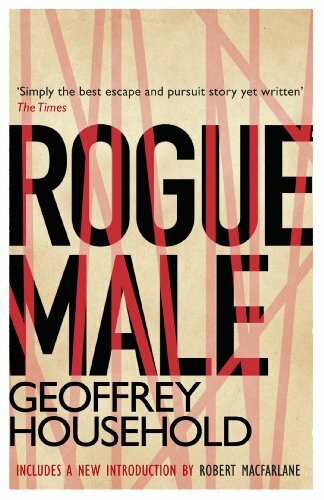 Geoffrey Household’s “Rogue Male” has always been one of my favourite thrillers. I’ve read it countless times, not just for the exciting story but for Household’s wonderful descriptions of the countryside. It jostles in position with John Buchan’s “The Thirty-Nine Steps”, as the greatest chase thriller ever written. The novel was first published in 1939 on the eve of World War Two, and was immediately popular. Household wrote some memorable and very readable novels afterwards – many with a chase theme – but never quite again touched the greatness of “Rogue Male”, though all of his books are worth seeking out. The tale of a man who flees to the lonely countryside of Dorset after an attempt to kill an unnamed dictator, in point of fact Adolf Hitler, is gripping and a real page-turner. Even after all my many reads I never want to tear myself away when I pick up the volume once more. As a fugitive the hero crosses Germany to reach England. There are memorable chapters in a very threatening and sinister London, and a long section set in Dorset. Household, like Buchan, is particularly brilliant at giving a sense of place. For a thriller there are some quite beautiful portraits of landscape: the long reaches of the Wessex hillsides with their ridge-paths and hollow ways, the forests and rivers of Bavaria, the rural towns where danger lurks. And the people encountered are realistic too. A shrinking dissident trying to survive in the Nazi state, the farmers of the Westcountry, a merchant navy sailor, shopkeepers, working people on holiday. Every single one beautifully drawn. And a memorable villain, which to me is a requirement of all good thrillers. Household really gets over what it’s like to be the subject of a manhunt. The fear and often sheer desperation and tiredness that drives you on and on. The need to cross ground without being observed. The knowledge of when to lie low and when to move on. When to go to earth – which the hero of “Rogue Male” does, literally. If you’ve ever had to cross country without being seen you’ll know the veracity of Household’s treatment of the theme. Few writers have captured these feelings of escape and evasion quite so well as Household does. And in a writing style that is not only literate but quite beautiful in its descriptions. There is now a splendid new edition of “Rogue Male” available with a perceptive introduction by the writer and landscape interpreter Robert MacFarlane. I commend it to you. MacFarlane describes an expedition he made with the late Roger Deakin into the depths of the Dorset countryside, in search of Household’s locations. MacFarlane does an excellent job, whether writing about the tropes of the chase thriller or the countryside that provides the setting of “Rogue Male”. This novel benefits from having an introduction by a writer who loves the English countryside as much as Geoffrey Household clearly did. I’ve tramped these same places myself and lived rough alongside the ancient paths and hollow ways of Dorset, often for weeks on end. I often used to take my own battered old edition of “Rogue Male” with me, and read it as the dusk fell and the owls began to call. Fortunately, I never had the Gestapo on my trail. “Rogue Male” is the hallmark against which all good thrillers should be tested.